Lord Vishnu's avatar, Krishna who is born to Devaki in Mathura and raised by Yashoda and Nandlal in Gokul travels to Vrindavan along with the entire village. He soon grows into a fine you's g man courageous, mischievous and lovable. 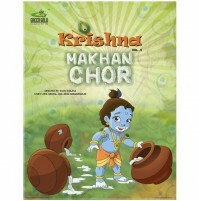 He along with his friends Balram, Udho and Madho spread happiness in Vrindavan. Krishna-s love for the beautiful Radha also grows fonder and they revel in each others company. Soon stories about Lord Krishna's miracles spread far and wide and also reach the court of the evil King, Kansa. 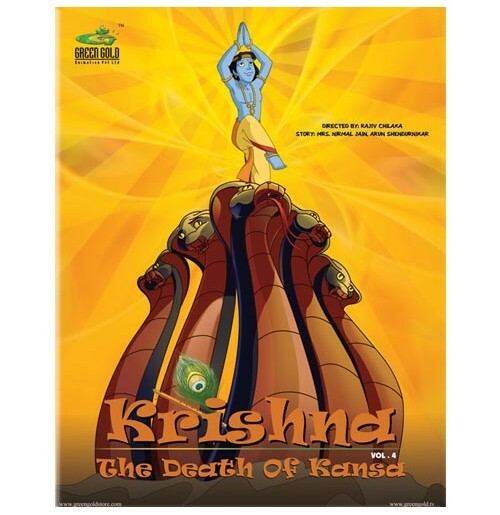 Realizing that he could be none other than Devaki's son - his ultimate destroyer, Kansa is struck with horror. 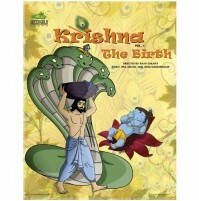 However, he soon devises a sinister plan to kill Krishna. He sends his messenger, Akroor, to invite Krishna and Balram to Mathura on the pretext of holding a challenge, and plans to trap and destroy them forever. Krishna and Balram accept the invitation and travel to Mathura. Reaching there, they meet the beautiful Rukmini and her brother Rukmi. Krishna also battles and destroys various demons such as Kuvalyapeedh, the dhobhi and others. After entering Kansas arena he kills Chanur and Mustik, the mighty wrestlers, and finally destroys the evil Kansa himself. He then meets his imprisoned parents Devaki and Vasudev, and releases them. He also frees his grandfather, Ugrasen, and crowns him the King of Mathura again. Krishna's mischievous and miraculous stories in Mathura are enthralling and truly exciting!